Sparkles of Gwinnett is offering a great deal for the summer to help your kids stay happy and healthy. They lowered the price of the skates and admission during the summer. Also, every Tuesday night during the months on June and July, they are offering free admission to families. 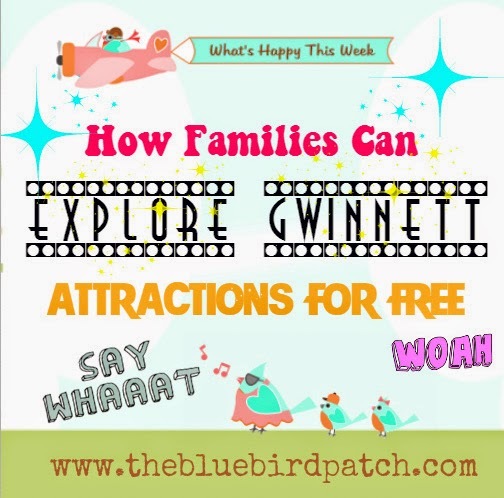 Sparkles of Gwinnett is popular place to skate, play laser tag, and celebrate birthdays. Kids Bowl For Free at Lawrenceville's Stars and Strikes. This is a nationwide initiative that allows selected bowling centers and schools around the country to give back to the community by providing a safe, secure, and fun way for kids to spend time this summer. Children whose age does not exceed a limit by a participating bowling center are eligible to register for 2 free games a day, all summer long, courtesy of the participating bowling centers along with the schools and organizations. The trick is that you must register online so you can get your passes by email. Malibu Gran Prix Norcross: You’ll receive a free Unlimited 4 Hour Play Pass good for all the attractions – go karts, bumper boats, miniature golf, and more. Club members receive the special privilege of using this offer ANY single day during the month of their birthday. If you sign up during the month of your Birthday you will receive your birthday coupon within 48 hours. Have a good student? Celebrate your good grades with them! Good students deserve a great deal. Just bring your most recent report card for FREE tokens! - 3 tokens for each "A"
- 2 tokens for each "B"
Restrictions: Maximum of 20 tokens per child. Must use original report card and bring within 6 weeks from issue date. If you are unfamiliar with this attraction, Malibu Grand prix is a super fun place with miniature golf, go-karts, game room, batting cages, bumper boats and a brand new water play play called “Buccaneers Cove”. For most of the park attractions you need to buy an admission ticket, however, if buy a vehicle entry ticket and you can access the park public picnic areas, hiking and nature trails, children's playground, walk-up trail, Quarry Exhibit, the Confederate Hall Historical & Environmental Education Center and the Lasershow Spectacular (select nights). Bicycles and pedestrians may enter at no charge. One of the things I enjoy the most about living in Gwinnett is the amount of festivals, free concerts and community events that happen all around the year. Suwanee: Woofstock festival, Food Truck Fridays, Broadway at The Park, Suwanee Fest, trek-Or-Treats, Art in The Park, Suwanee Day Parade, Movies Under the Stars, Suwanee Big Peach Running Co. Runners Anniversary Walk/Run, Suwanee Car Show, Jolly Holly-day. Duluth: Duluth Easter egg hunt, Cookies and Milk with Santa, New years Extravaganza, Howl On The Green, Duluth fall Festival, Summer Stage Concerts, Barefoot at the Park. Buford: Historic Buford Festival, Buford Spring Festival, BBA Holiday Parade and Festival. Johns Creek: Free outdoor fitness class, free ESL classes, Egg hunt and Fun day, Park Place's Spring Fling patio party, "Wild Weekend" at Autrey Mill Nature Preserve, and Morning Yoga at Newtown Park Amphitheater! Stone Mountain: Trunk or Treat and of course Stone Mountain Park! Children: Here's a tip if you are new to the area. If you have small children you must have a membership for Simon Malls Kiddigits Club. The Simon Kidgits Club® offers free fun activities, savings and freebies throughout the year for everyone to participate. However, members enjoy savings from retailers, free goodies at events, a T-shirt when you sign-up and other benefits throughout the year at participating Kidgits Club Malls. The membership is not free, but it is quite cheap. For $5 dollars, not only you get tons of perks but your kids can participate in VIP events. Teens: If you have teens, keep an eye to the month of August, which is the month TEEN VOGUE partners with Simon Malls to celebrate Back-to-School Saturdays with events across the country featuring musical performances, fashion shows, celebrity appearances and more! Last August, Mall Of Georgia had Cody Simpsom perform and sign autographs. Family Friendly: Movies Under The Stars! The sights and sounds of FREE outdoor family entertainment are set to return to Mall of Georgia! The shopping center’s seventh annual Movies Under The Stars summer series, presented by AutoNation Mall of Georgia, Children’s Healthcare of Atlanta and the Gwinnett Braves, is back beginning Saturday, May 23. Local families and friends are invited to meet on the lawn at the Village Amphitheatre every Saturday evening through July 25 to enjoy a complimentary cinema and concert showcase. During each event, local bands take the stage at The Village Pavilion from 6:30 – 8:30 p.m. and the feature film shines on a 35-foot big screen at The Village Amphitheatre starting at dusk around 9 p.m. Guests can also enjoy a variety of fun games, jump time in bounce houses and summer snack concessions, including Skip’s Hawaiian Shaved Ice, popcorn, cotton candy and more. As always, shoppers are encouraged to bring blankets and lawn chairs. With family flicks like “Into the Woods” and “Big Hero Six” and rockin’ music from The Woody’s and Brent Gafford Band on the lineup, this entertainment series is the perfect way to spend summer nights with family and friends! o Joe Hall Band: 5 – 7 p.m.
o Singing of the National Anthem by Mallory Green: 9:30 p.m.
o Gwinnett's grandest fireworks display: 9:35 p.m.
Let's face, kids always want to go to the pool during the summer, but did you know you can still enjoy going to the pool in the off-season. Many aquatic centers in Gwinnett have temperatured controlled Indoor leisure pools with zero-depth entry, giant waterslide and water play structures. Other parks have seasonal large outdoor areas with water slides, lazy river and kids play area. Now, although the entrance is not free, it is dirt cheap and Gwinnett residents get a reduced admission discount with their driver's license. There's is a “beach” close to Lawrenceville, that is not quite in the district of Gwinnett county, but it might as well be, that has a seasonal 260-Acre lake with a white sand beach, picnic shelters, pavilions, gift shop, 2 boat ramps and children's playground. You can go hiking and mountain biking, play disc golf, go fishing, boating, rent canoes, kayaks and even pedal boats. There's also miniature golf, 2 tennis courts, and a basketball court. What I LOVE about Fort Yargo is that the entrance is free. You will need to pay a minimum parking fee but it so much worth it. The lake is not muddy, the water is clear, the sand is white and soft, water is shallow and the kids love it. You can bring your own BBQ, and cook while you let the kids build sand castles and play. Fort Yargo is a National Park and the grounds and facilities are well maintained. This is the perfect place when you just want to escape from the hustle and bustle of the city. It is kind of hidden, and not many people know how awesome this place really is. Once you visited it you will always come back. Explore Gwinnett is the official travel office of Gwinnett County, Georgia (metro Atlanta). When you visit their website or subscribe to their weekly newsletter you can plan your hotels, restaurants, shopping, attractions & check out all the happenings and events going on. Every week they list at least 30 different events happening around the county. Have a few bucks to spare? May we recommend a family outing to the theatre! Aurora Theatre Children's Playhouse assembles the best children’s performers in the region, bringing them to Gwinnett County in order to give parents and their children a chance to experience their artistry in our amazing facility in downtown Lawrenceville. They feature puppeteers, magicians, storytellers, jugglers and musicians as a part of this series intended for youngsters to have their first theatrical experiences. At about 45 minutes in length, perfect for the young attention span, these lively performances are fun for the whole family. Tickets are only $7.00 for kids and adults, making this attraction extremely affordable for most families.